With the winter snow pack nearly gone and the arrival of warmer, drier conditions around Alaska, it’s time to start thinking about wildland fire season. To that end, Governor Bill Walker has declared May 13-19 as Wildland Fire Prevention and Preparedness Week and is asking Alaskans to do their part to prevent wildfires and prepare for them. 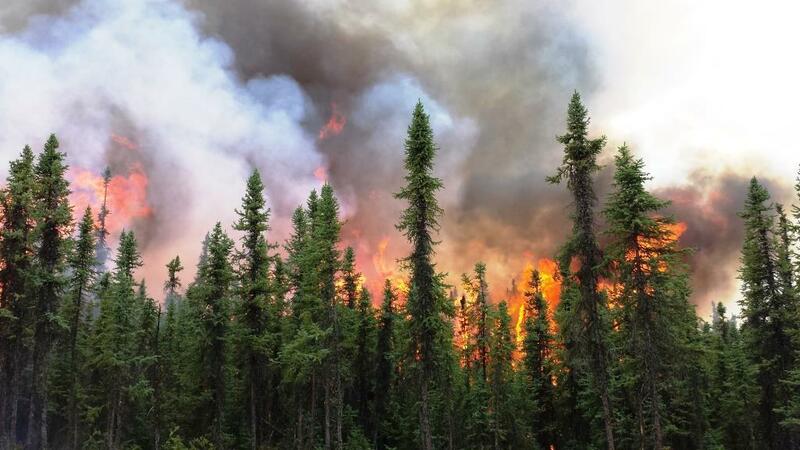 “The Division of Forestry appreciates that Governor Walker recognizes the dangers posed by wildfires and the responsibility that Alaskans have, both collectively and individually, to help prevent them,” Division of Forestry Wildland Fire and Aviation Program Manager Tom Kurth said. On average, Alaska has approximately 500 wildfires a year that burn roughly 1.2 million acres. In an average year, Alaska has approximately 500 wildfires that burn roughly 1.2 million acres. Most of those wildfires are human caused and therefore preventable. Open debris burning and the use of burn barrels are two of the leading causes of human-caused wildfires in Alaska. Both activities require a general burn permit from the Division of Forestry and the permit includes instructions for safe and legal burning. Now is also the time Alaskans can help prepare their homes against wildfires by clearing flammable materials like leaves, dry grass and wood piles from around their homes, roofs and rain gutters; creating defensible space around their homes; and making an emergency plan in the event an evacuation. Remember, you are responsible for any fire you start and can be held responsible if that fire escapes as a result of negligence. For more information about burn permits, safe burning practices and local burn restrictions, go to http://forestry.alaska.gov/burn.